Today’s race at Las Vegas Motor Speedway saved all the action for its last lap and of course, after the race. 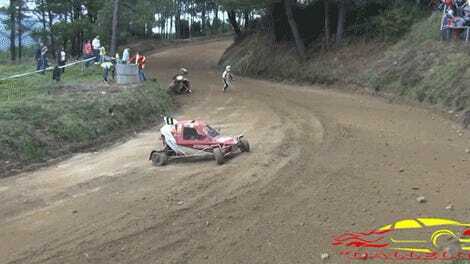 After Joey Logano got loose on the last lap and collided with Kyle Busch, Busch was sent sliding into pit lane. 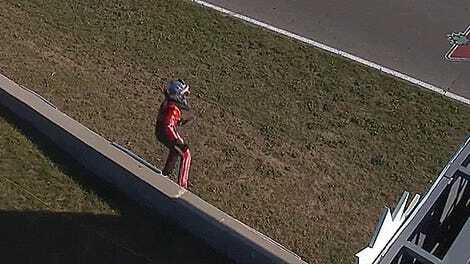 So, Busch went to go “chat” (and by chat, I mean fight) with Logano after the race. 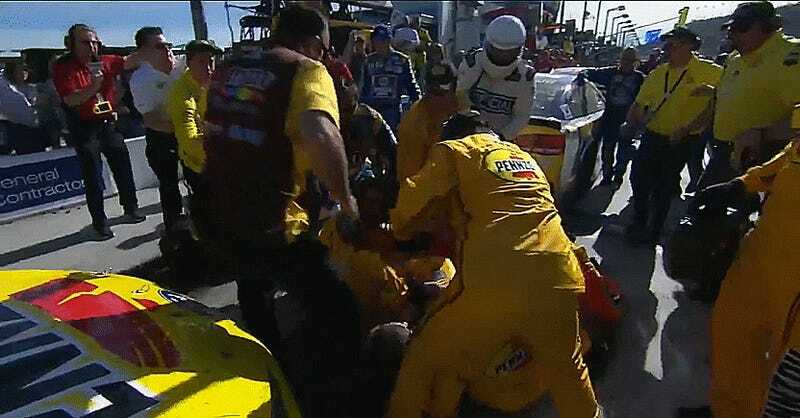 Logano was quickly pulled from the center of the fight by members of his crew. Kyle Busch was spotted walking from the mess with a bit of blood on his forehead. 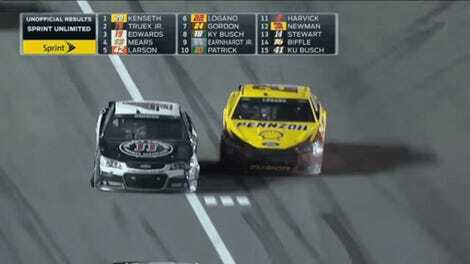 NASCAR changed a lot for this season, but bless their hearts, they didn’t change their drivers’ short tempers. With three stage endings to fight over now, I’m shocked this didn’t happen earlier. Martin Truex Jr. won today’s race after winning the first two stages and leading 150 of the race’s 267 laps.